Fall is a nice time to grab a new book and cozy up by the fireplace (or radiator?) and deny the fact that the colder weather is here to stay. And what better place to start than one of these three new books, recently added to our eBook site (www.ebooksbridge.com) and available by November 1st in hard copy. Selecting the best line of play in a bridge hand as declarer is not easy. Most novices know something about basic odds and percentages, and can often find a line that offers a reasonable chance of success. 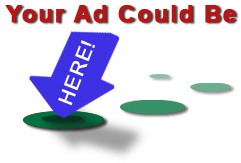 However, the expert will skilfully combine options, so as to take advantage of more than chance. Rather than putting all his eggs in one basket, he will ‘stay alive’, squeezing out every extra chance. In this book of intermediate problems, Kantar shows the reader how to do this – there is always a line of play that will allow you take all your chances, and bring home your contract. Eddie Kantar (Santa Monica, CA) is one of the most popular and prolific bridge writers in the world. A winner of two World Championships, and a member of the Bridge Hall of Fame, his many books include Modern Bridge Defense, the hilarious Kantar on Kontract, and of course, Roman Keycard Blackwood. His work appears regularly in many bridge magazines around the world. Originally published in 1980, this book quickly became recognized as a ‘must-read’ for any would-be bridge expert, and has never been out of print. Now, almost 30 years later, the author has revised, updated and expanded it to take into account modern developments in the theory and practice of competitive bidding. Anyone serious about improving their game needs to own a copy of this book. 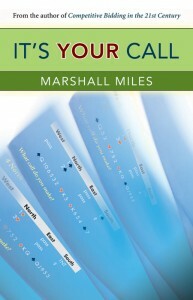 For about 25 years, Marshall Miles was the moderator of an all-star bidding panel for a California bridge publication. 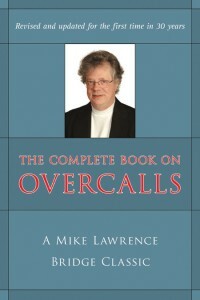 This book is a compilation of his favorite bidding problems from those years, together with the panel’s views and Miles’ own trenchant comments. As ever, he is prepared to go his own way; he refuses, for example, to assign scores to various bids on the grounds that he wasn’t going to give himself 20/100 when he knew his answer was right, even if no one on the panel agreed with him! A bonus section includes Miles’ latest thoughts and recommendations on a number of cutting-edge bidding ideas. 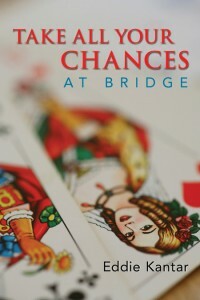 Marshall Miles is the author of six previous books, including the all-time classic How to Win at Duplicate Bridge. He is a WBF World Master and has won several North American Championships. He lives in California.